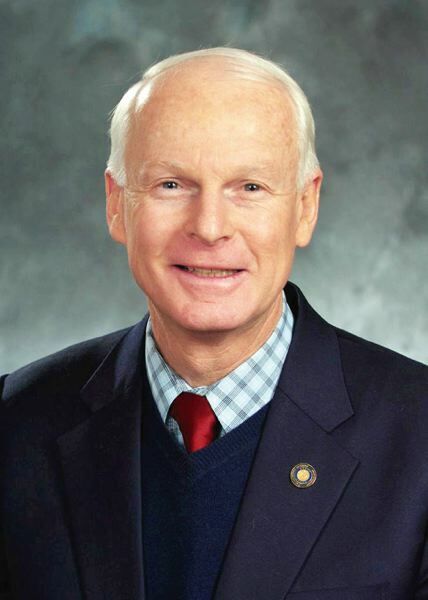 The complaint filed Thursday in Marion County Circuit Court alleges the changes by Secretary of State Dennis Richardson violate state law and the Oregon Constitution and are outside Richardson's authority. SALEM — Our Oregon has filed a complaint in Marion County Circuit Court to block new initiative petition rules enacted by Oregon Secretary of State Dennis Richardson. The union-backed political advocacy group — the author of dozens of initiative petitions over the years — claims the new administrative rules violate the Oregon Constitution and state laws and that Richardson exceeded his legal authority in making the changes. Richardson's modifications to the rules "serve to undermine the people's power to initiative and refer measures," the complaint states. Contained in the State Initiative and Referendum Manual, the rule changes took effect Jan. 1 and apply to the 2018 election cycle. The manual instructs petitioners on how signatures may be collected during the ballot qualification process. Our Oregon filed the complaint Thursday, Jan. 4. One of the changes allows petitioners to circulate a petition before a ballot title has been finalized, even when it has been appealed to the Oregon Supreme Court. The ballot title is a short, unbiased description meant to give voters a clear understanding of what a ballot measure does. "The current law protects voters by making sure they're getting accurate information from circulators and it's hard to commit fraud," said Ben Unger, executive director of Our Oregon. Another change would allow circulators to hand out single-signature petitions to individuals without requiring the circulator to witness the person signing the petition. Rolling back that requirement opens the way for fraudulent "signature mills," similar to those employed by conservative tax activist Bill Sizemore, Unger said. In 2002, a Multnomah County jury found that Sizemore systematically forged signatures and falsified financial reports in an attempt to qualify anti-union initiatives for the 2000 ballot. Christine Mason, deputy director of Our Oregon, Unger, and Rep. Dan Rayfield, D-Corvallis, have been vocal opponents of the new initiative rules since they were first proposed several months ago. They have argued the changes would roll back improvements made in the system designed to prevent the kind of fraud committed during Sizemore era. Rayfield sought opinions from Legislative Counsel that indicated Richardson lacked the authority to make the changes. Unger has claimed the rule changes are meant to enable conservative groups to land measures on the ballot that would limit women's access to abortion and repeal the state's sanctuary law. "Voters should be concerned that the Secretary (of State) is making rules to help any interest group, but especially interest groups where he is ideologically inclined," Unger said. As the first Republican elected to statewide office in 20 years, Richardson's actions have drawn scrutiny from the state's Democratic majority and liberal groups such as Our Oregon. Richardson has said the new rule is intended to prevent moneyed interest groups from using the courts to slow down or block initiatives from making the ballot.